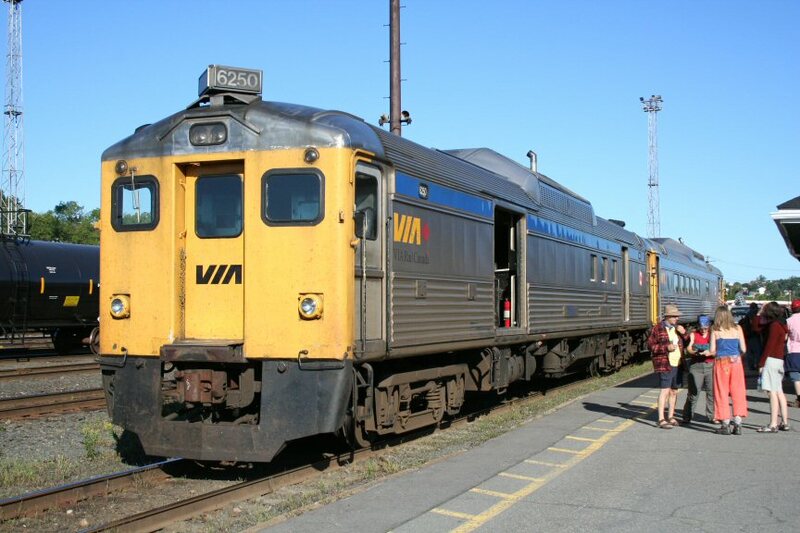 Railpictures.ca - Chris van der Heide Photo: VIA 185, the Sudbury-White River local passenger train, loads passengers and baggage at Sudbury. | Railpictures.ca – Canadian Railway Photography – photographie ferroviaire Canadienne. Caption: VIA 185, the Sudbury-White River local passenger train, loads passengers and baggage at Sudbury.